This book is the second book in the series after Rise of the Sun Prince, one which I have not read. Almost everyone has heard the story and most of us have read it or watched Ramayana on television. But this book turned out to be innovative and introspective. 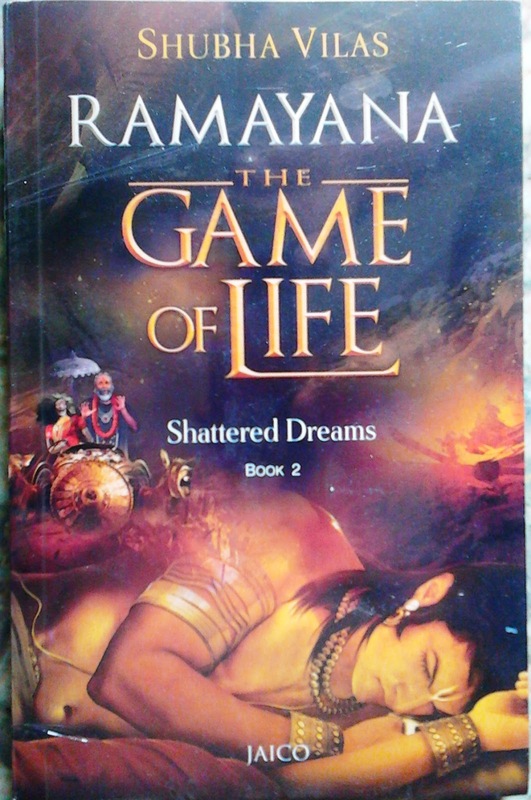 Shattered Dreams describes the time when Dasharatha wanted to crown Rama as king of Ayodhya. Unfolding the journey of Rama, Sita and Lakshmana leaving Chitrakoot for Dandakaranya forest. Kaikeyi chooses to redeem her two boons and Bharata pays for his mother's sinful behaviour in this captivating story. The opening chapters also takes one to journey of past. The past when the Ikshvaku dynasty had a King named Nemi, who later on named Dashratha. How a person got transformed from Dasagriva to Ravana. How Ravana got encounter with the god of death - Yama himself. The author has put down Raavan’s thought pretty well inside the book. I assumed it would be the same as witnessed earlier but I found out something more. A thorough research has been done to pen down this book. It is filled with tales and anecdotes which are probably not heard or unknown to us. Like Jayanta's shameful act and Manthara's reason for revenge were not known to me. It provides deep insights on how human relationships work out and how they might also fail. Like the relationship between a father and son, two brothers, husband and wife, mother and son are all explained very well. It speaks of values and virtues that if followed can make us a better human being. The emotions and character description inside the story was wonderfully done. It was as if a old story being read out in a new way. Shubha Vilas did total justice while describing the scenarios right from the beginning till the end. The narration done is seamless.The language is simple and easy to read through. The additional footnote feature was a new thing for me so I enjoyed that as well. The virtues followed by Rama and his honesty were evident throughout the book. The only thing that I did not find quite to my liking is that it is slow paced. I would say it is good to read it at least once. And I would rate it 3 out of 5.